These SAL’s (spin-alongs, similar to a knit-along), are consuming much of my time. I am participating in the December-January one with the Completely Twisted and Arbitrary Spinners group on Ravelry. 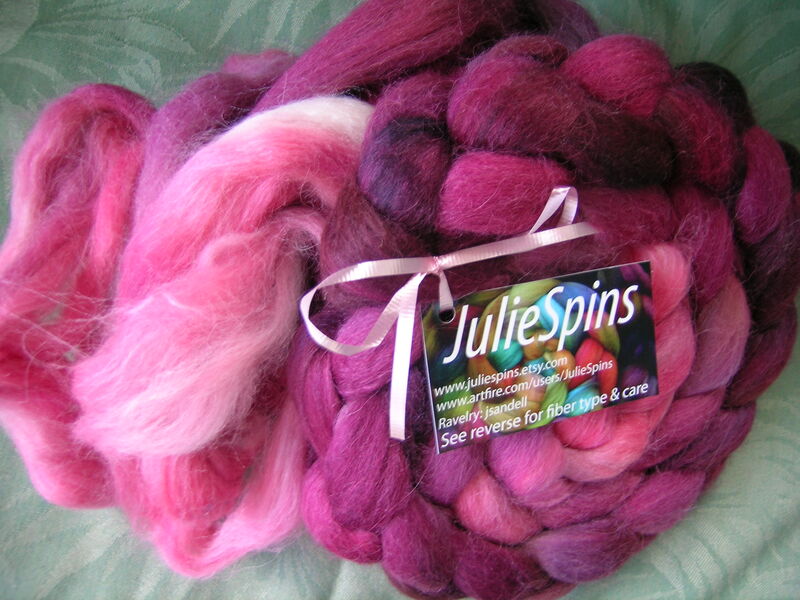 This month the fibers were dyed up by JulieSpins. What a contrast to the response and customer service from the first one that I tried with this group (finally cancelled after 45 days of waiting and no updates). I ordered the fiber early on Sunday morning (after a BDay party with friends), had my shipping notice by Monday, and the fiber on Thursday! Fabulous customer service. 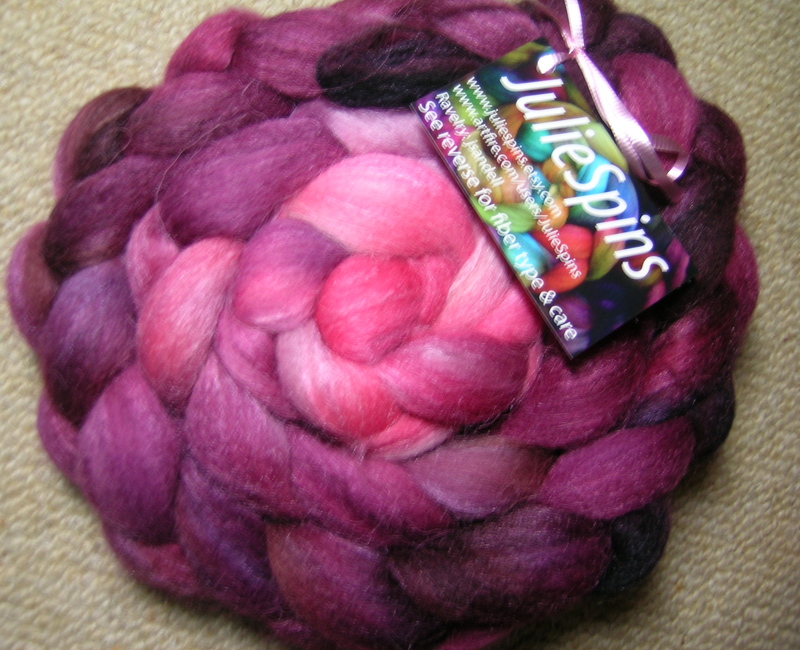 While I was hoping for some fibers with more color variations in them, this is stunning. The fiber content is 60% Alpaca, 20% Merino and 20% silk. This is a gradient, but with a lot more variation than those that I have tried from Fiber Optic. It was a bit of a learning curve to get my groove with the Alpaca/Silk in the fiber. Thank goodness for the bit of Merino to help hold it together. The silk and alpaca really require a lot of twist. I have finished spinning up 1/2 of the first braid, and I am sure that my beginning is nowhere near as good as the end of the bobbin. The fiber is so luxurious and silky, and has a halo to it. I think that I have the perfect shawl in mind to knit up with this when finished.